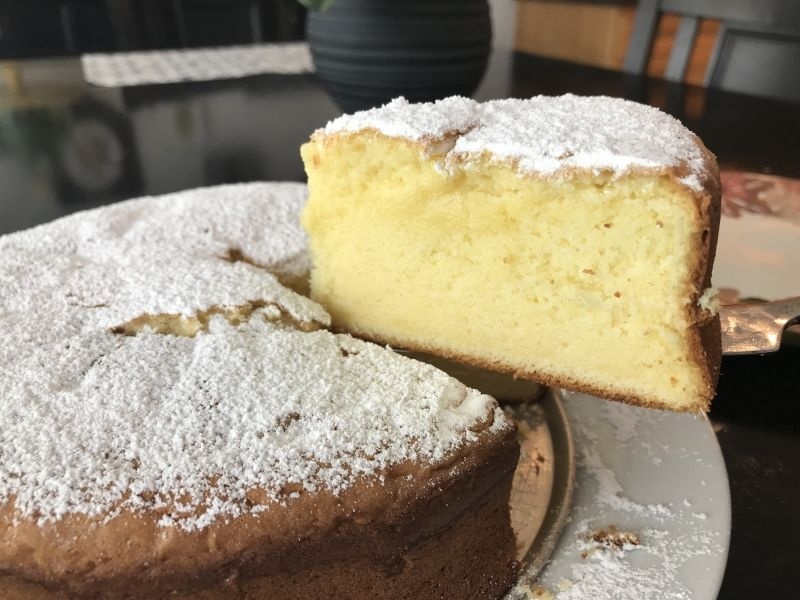 This Almond Flavored Milk Cake will be a favorite the moment you put that first delicious bite in your mouth! Top it with a spoon of berry compote, or just some chopped fruit, and it will look like a dessert from a fine restaurant! The simple cake is incredibly moist and very dense, with an almost creamy consistency. Because of this, a slim serving is best but nothing stops you from going back for a second slice! 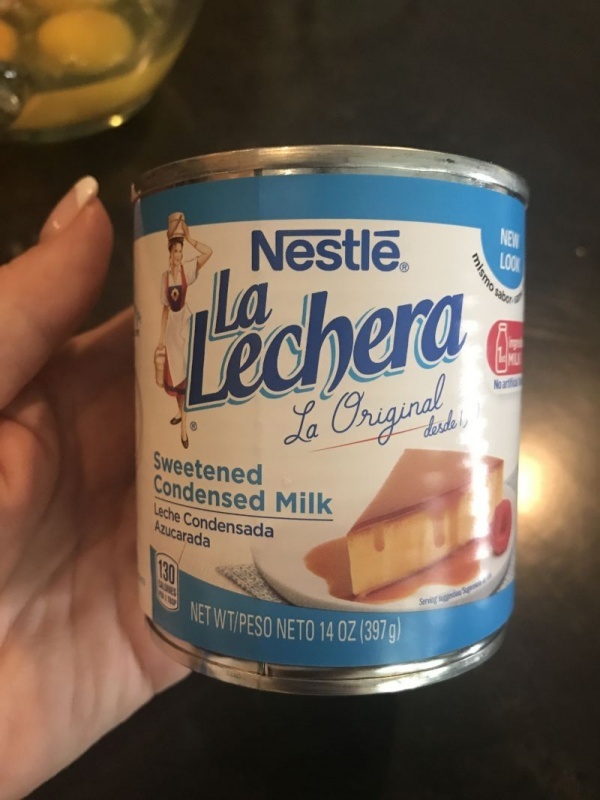 I always have sweetened condensed milk in my cupboard. It is the secret ingredient to this almond flavored milk cake. I have mentioned before that I always keep a can or two of sweetened condensed milk in the pantry. 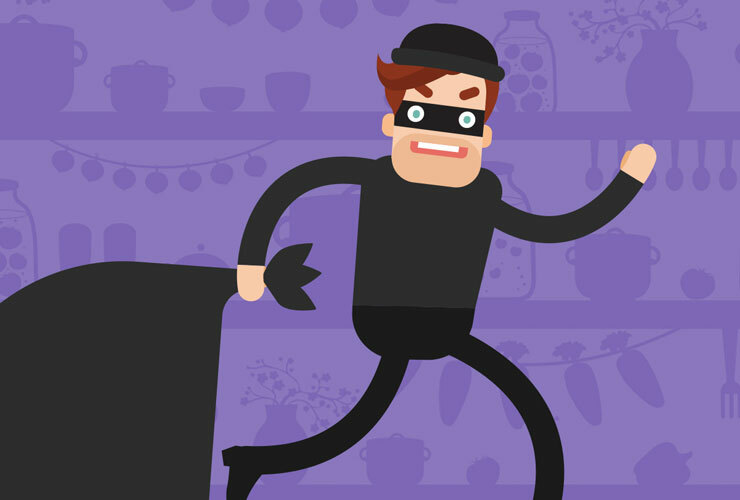 Once you start actually using this little kitchen miracle, you are going to feel the same way! This morning, having slept in after a long night of work, I wanted something sweet. I searched the freezer and there wasn’t a muffin to be found. The croissants were all gone as well! I had nothing! ARRRGGHH! But while scanning the shelves in the pantry, my eyes rested on my precious little can of sweetened condensed milk! 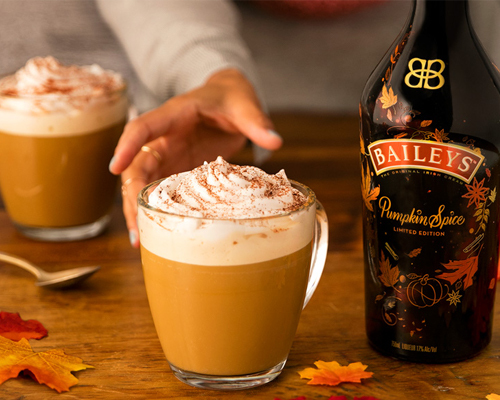 So this morning, you are getting an original recipe, born of desperation for a decadent treat that is fast and easy and that pairs well with a cup of hot tea or coffee! Lucky thing I stole all Apri’s baked goods so she would make this new recipe! A while back, I brought out the long forgotten springform pan from the cupboard and showed you how to make a Canadian Bacon and Spinach Quiche with a Potato Crusts that was so good! Now it’s time to bring it out again for this delicious treat! Before you even start to mix your recipe up, take a tablespoon of butter and rub it all over the inside surfaces of your 8-inch springform pan. This almond flavored milk cake is a one bowl wonder! 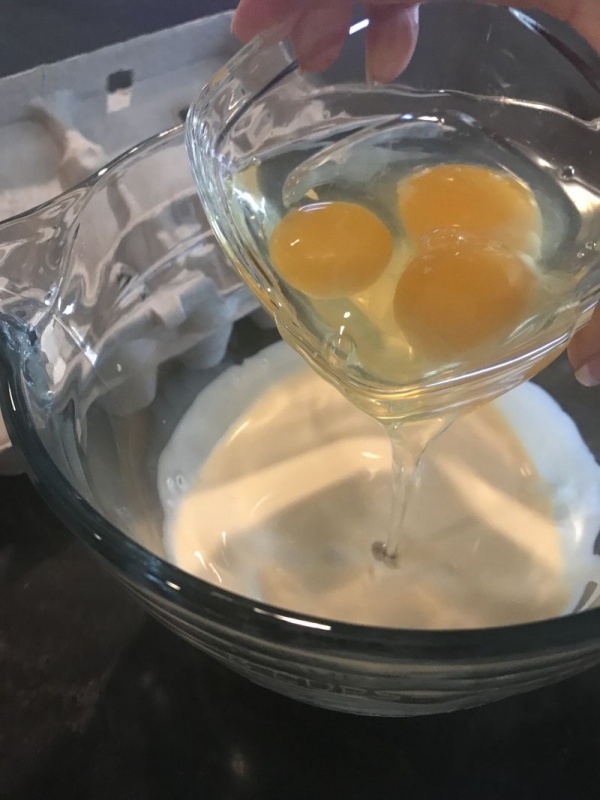 This recipe takes one bowl. Seriously. 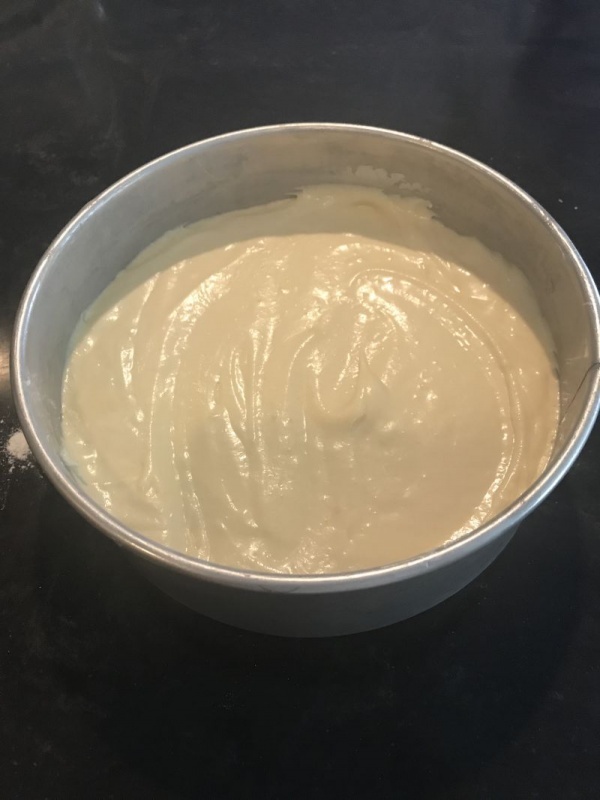 So Easy…put all the ingredients in a mixing bowl, and mix on medium speed until velvety smooth. I used almond extract this morning, but you can use whatever you like! Try a good vanilla, a hazelnut…use your imagination and add the flavor you like! I have made this with orange extract and added a little orange zest to the recipe and it was delightful! To get the maximum flavor, make sure you always use an extract, and not a flavoring. It makes a huge difference! Amber comments: I am not a big fan of almond flavored things, but I can imagine this cake with orange extract! Now you are talking! Yum! 1. 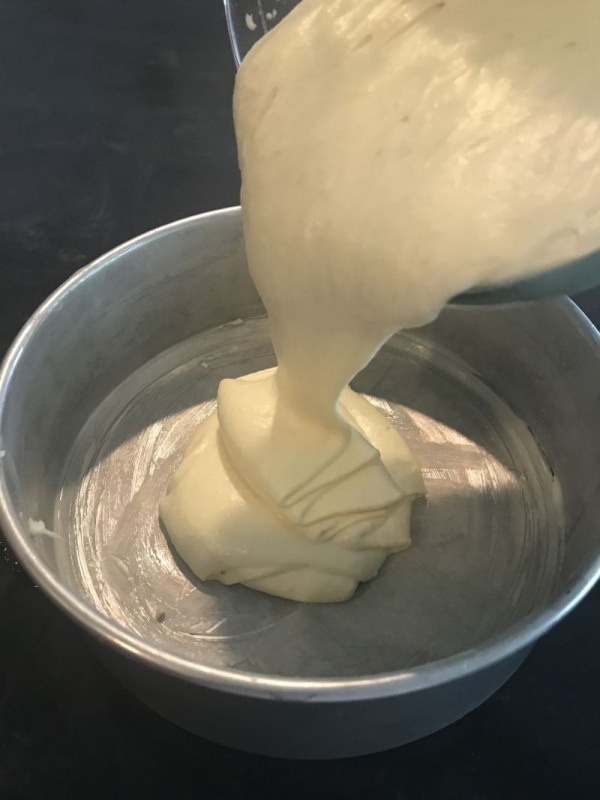 Using 1 TBSP of chilled butter, grease the inside of your springform pan, being sure to get in all the edges and crevices. Adding in the eggs to the condensed milk for the almond flavored milk cake batter. 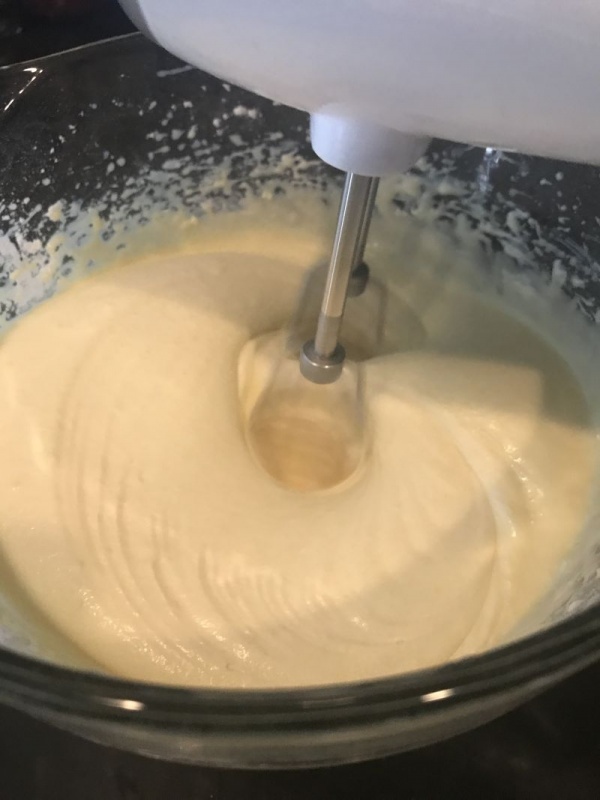 Beat the almond flavored milk cake batter untill smooth. 2. 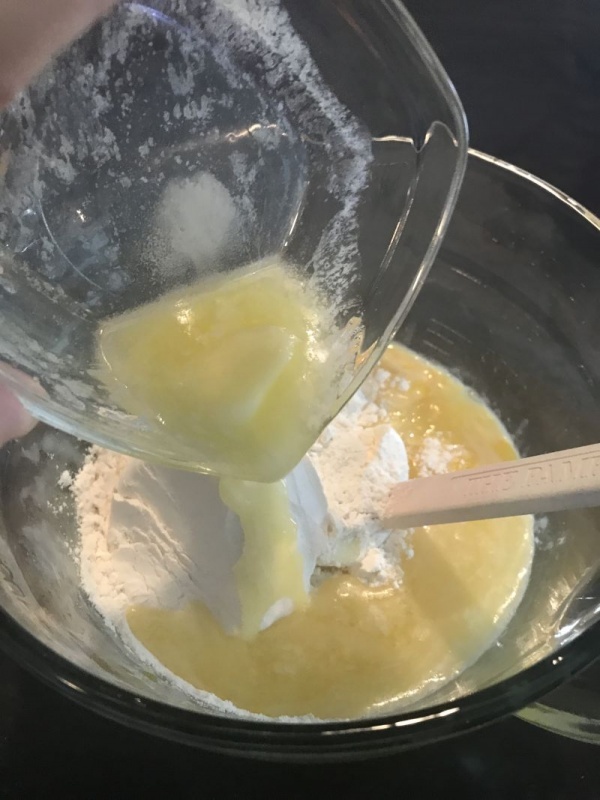 In a large mixing bowl, put all the ingredients EXCEPT the powdered sugar. 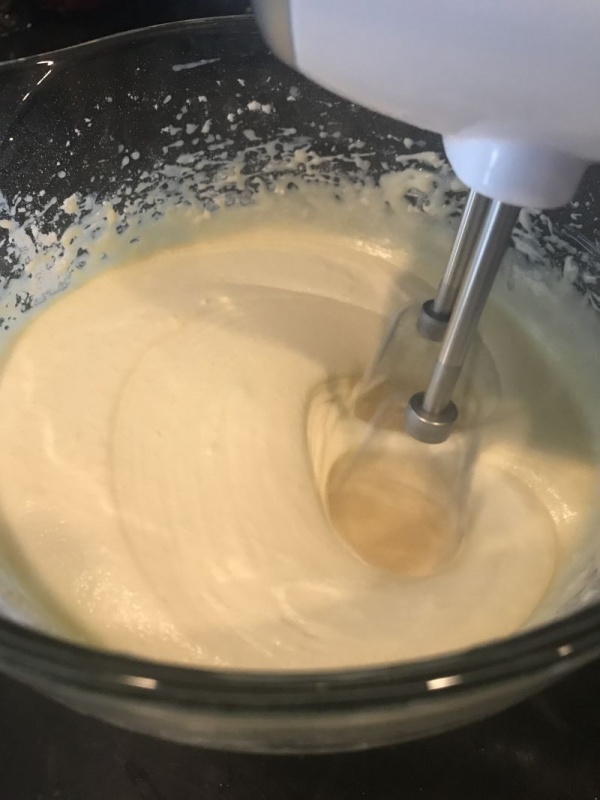 Mix until velvety smooth with an electric mixer; about 1 minute. Do not overfill your pan. Your almond flavored milk cake needs room to rise while cooking. 3. 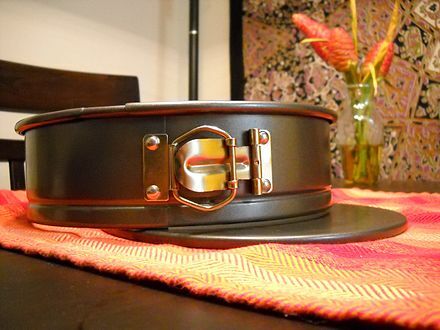 Pour into your prepared springform pan and place in a preheated 350-degree oven. 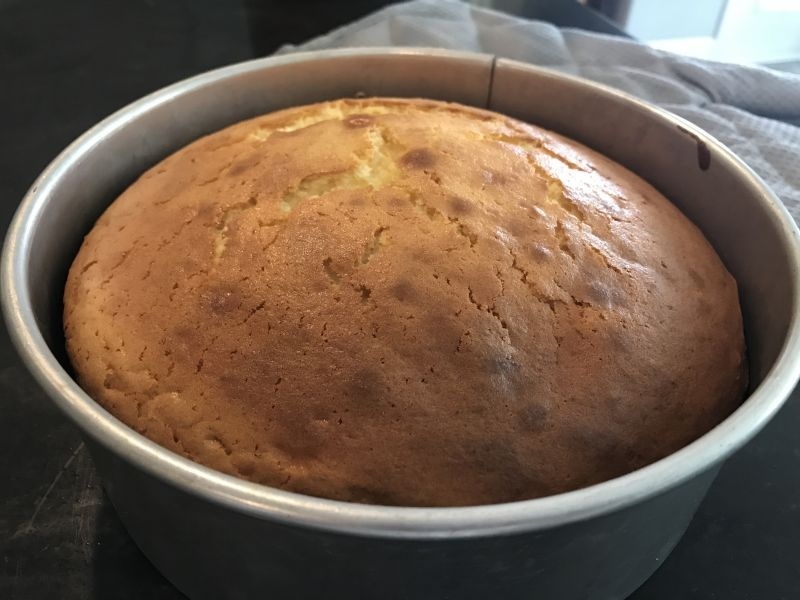 Your almond flavored milk cake should be perfectly golden brown out of the oven. 4. Bake for 40 minutes. 5. Allow to cool, then release from the springform pan. 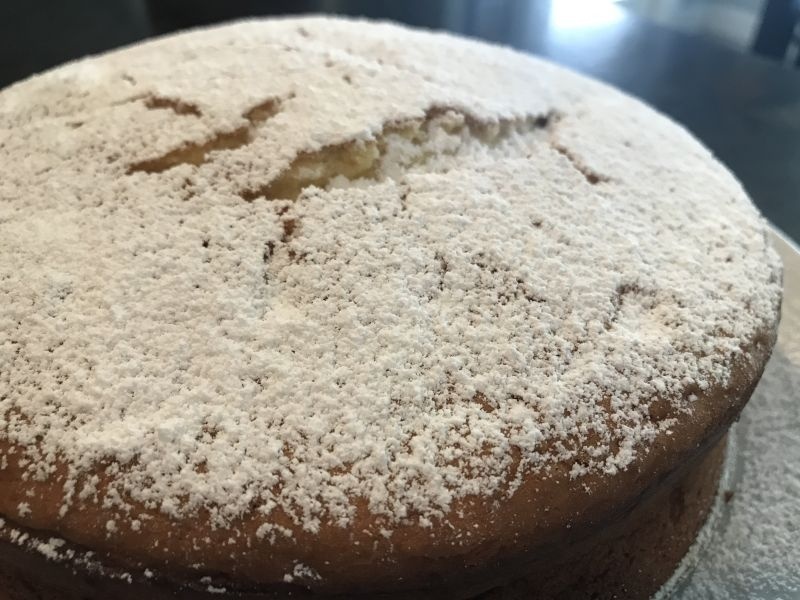 Sprinkle your almond flavored milk cake with the powdered sugar covering the entire top. 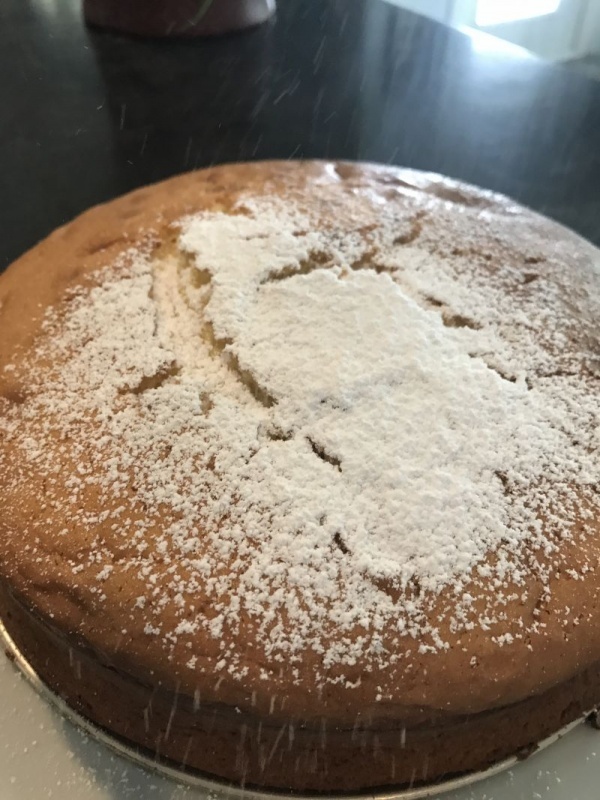 The finished almond flavored milk cake looks delicious! 6. Prior to serving, dust generously with sifted powdered sugar! 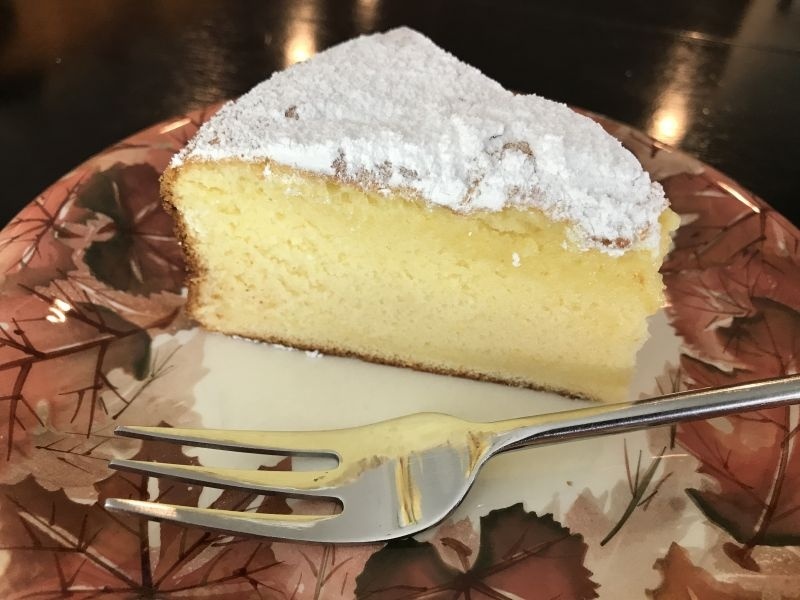 Did I say cut a small piece of the almond flavored milk cake? I guess I mean Texas small. 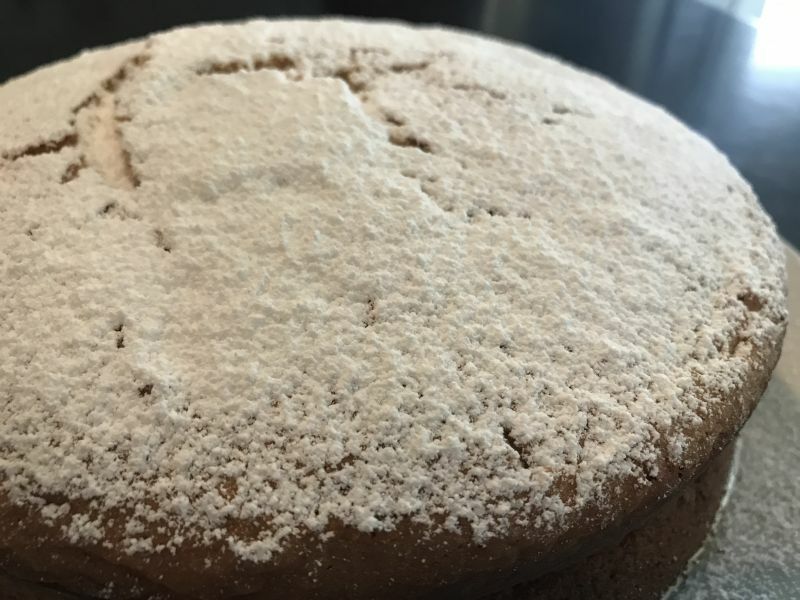 This Almond Milk Cake is so yummy, you are going to find yourself making it often! It’s a perfect fast dessert when you have a last minute need for something sweet AND pretty! Make sure you try it with different extracts, to find your favorite version! This almond flavored milk cake serves beautifully. Wow. This is my kinda of cake, dare I say for breakfast! I’m going out right now to get the ingredients; and I’m making a coconut version. Super yum!